Teenage Fanclub return to North America in February. The tour brings them to Detroit's El Club on March 7th. Tickets for all of the dates on the tour go on sale this Friday, September 21st at 10am local time. View the tour itinerary below. 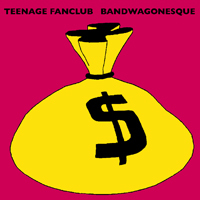 Teenage Fanclub reissued their classic albums Bandwagonesque, Thirteen, Grand Prix, Songs From Northern Britain, and Howdy on vinyl in August. Head here to order.